HCMS LIBRARY: BOOKMARK CONTEST DUE THIS FRIDAY! BOOKMARK CONTEST DUE THIS FRIDAY! 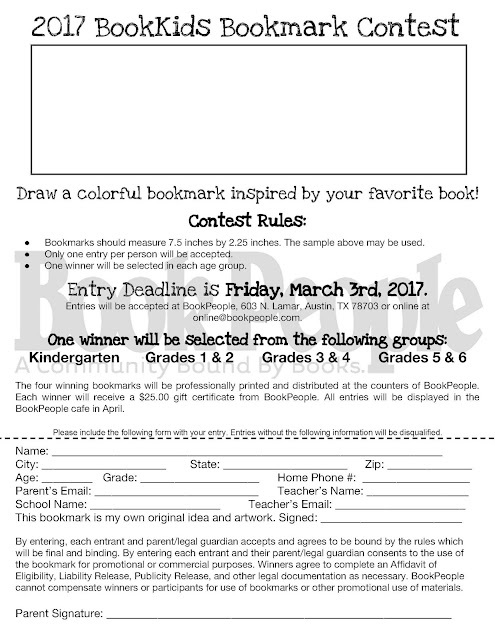 The BookPeople Bookmark Entry Forms are DUE THIS FRIDAY! Return entries to the Library. Download a copy of the bookmark by clicking on the image.